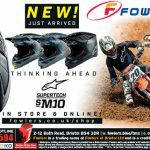 This entry was posted in Clothing, Events, Fun, Honda, KTM, New Bikes, News, Off Road, Offers, Press Advertising, Scooters on 04/10/2018 by Fowlers News. 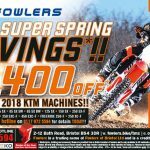 This entry was posted in Bike Night, Clothing, Events, Fun, KTM, New Bikes, News, Off Road, Offers, Press Advertising, Yamaha on 09/05/2018 by Fowlers News. 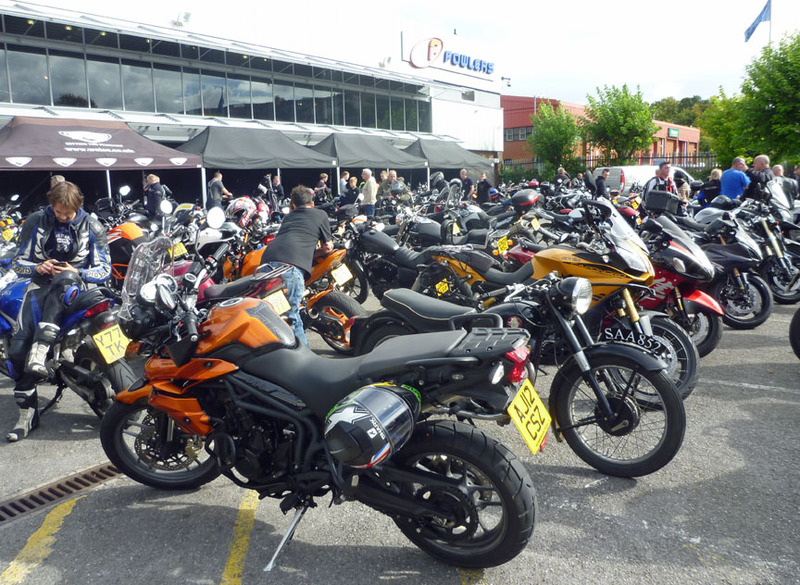 Well what a fantastic first Bike Night it was on Friday at Fowlers! 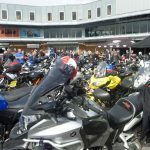 There were stalls to wander around, bikes of all descriptions to admire, a friendly atmosphere and great music by DJ Chunky all night. Topped off with the wonderful smell of BBQ in the air. 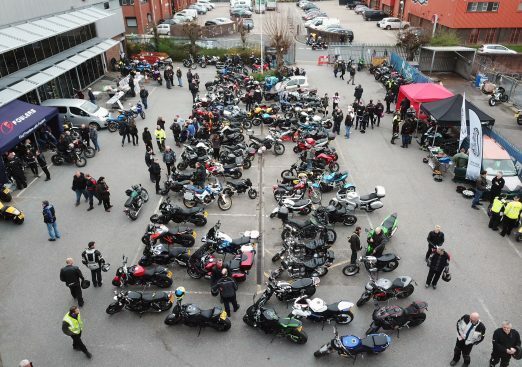 Each event a ‘bike of the night’ will be chosen. 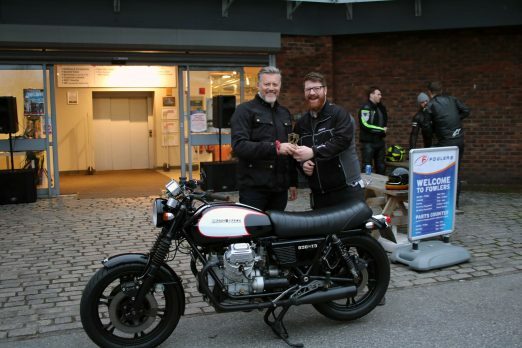 On Friday, congratulations went to Mark Hutton for his lovely Moto Guzzi T3 – well done Mark! 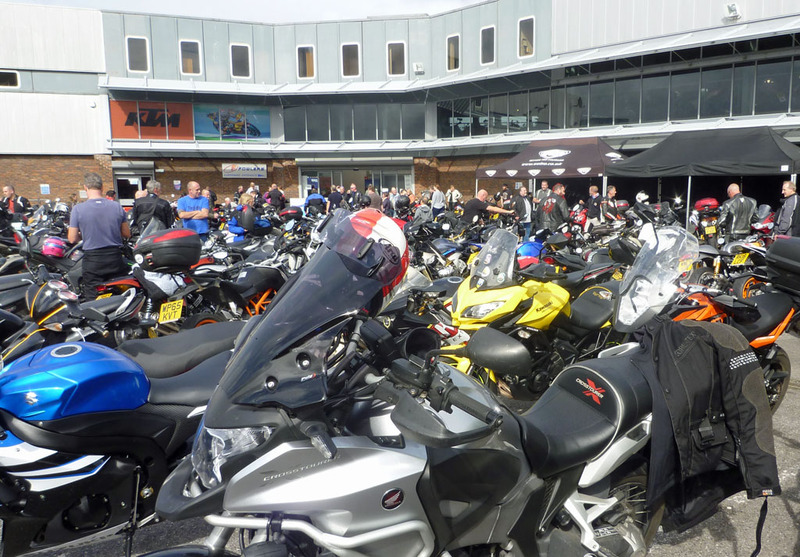 Bike Nights will be held at Fowlers on the second Friday of each month until September, from 5.30-8.30pm. 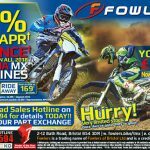 Keep an eye on Fowlers Facebook events for the latest on each Bike Night, including special guests! 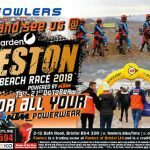 This entry was posted in Bike Night, Charity, Competitions, Events, Fun and tagged BIkeNight on 17/04/2018 by Fowlers News. 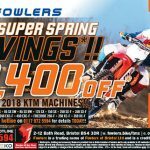 This entry was posted in Clothing, Events, KTM, New Bikes, News, Off Road, Offers, Press Advertising, Yamaha on 11/04/2018 by Fowlers News. 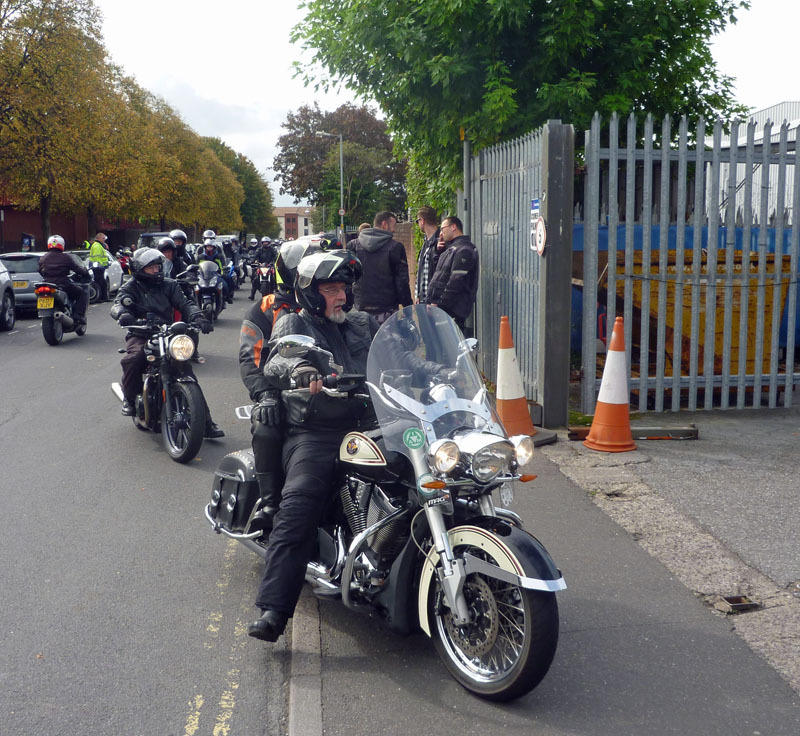 The suggested minimum donation on the day is £5 – thank you! Fowlers would like to say a big THANK YOU to Julie Thomas for her donation of 12 Heroes Easter Eggs! 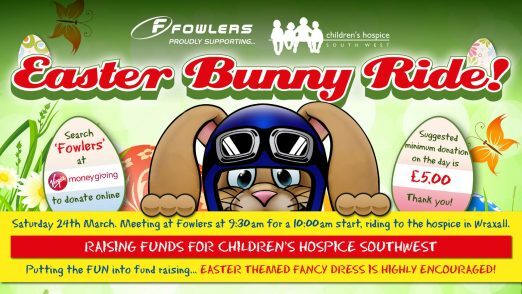 This entry was posted in Charity, Events, Fun, News and tagged bunny, charity, children's hospice south west, easter, Fowlers, ride on 16/03/2018 by Fowlers News. 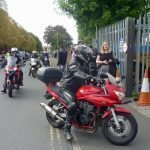 Hundreds of motorcyclists took to the streets of Bristol on Saturday to show solidarity with the police in their efforts to tackle the rising tide of bike crime in the city. 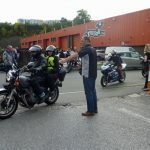 Organisers of the Bristol Bike Theft Awareness Ride estimate that 700 motorcyclists participated, setting out from Cribbs Causeway, on the northern outskirts of the city, at noon. 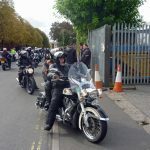 Accompanied by a pair of police motorcyclists, the procession wound its way peacefully through several known hot-spots for bike theft, where many local residents clapped and waved as the cavalcade rumbled through. 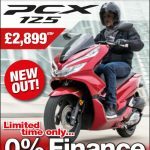 Saturday shoppers and tourists stopped and stared as hundreds of bikes passed them on Park street – rated as one of the most fashionable high streets in the country – before passing City Hall and rolling into Fowlers Motorcycles in the city centre at 1.30 pm. 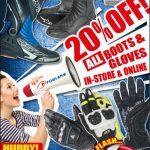 To raise awareness of the problem and remind motorcycle owners how they can aid the Police in their work. 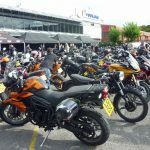 To share tips with riders on keeping their pride and joy safe and secure. To show solidarity with the law-abiding community in Bristol and demonstrate that they are all working together to tackle this issue. 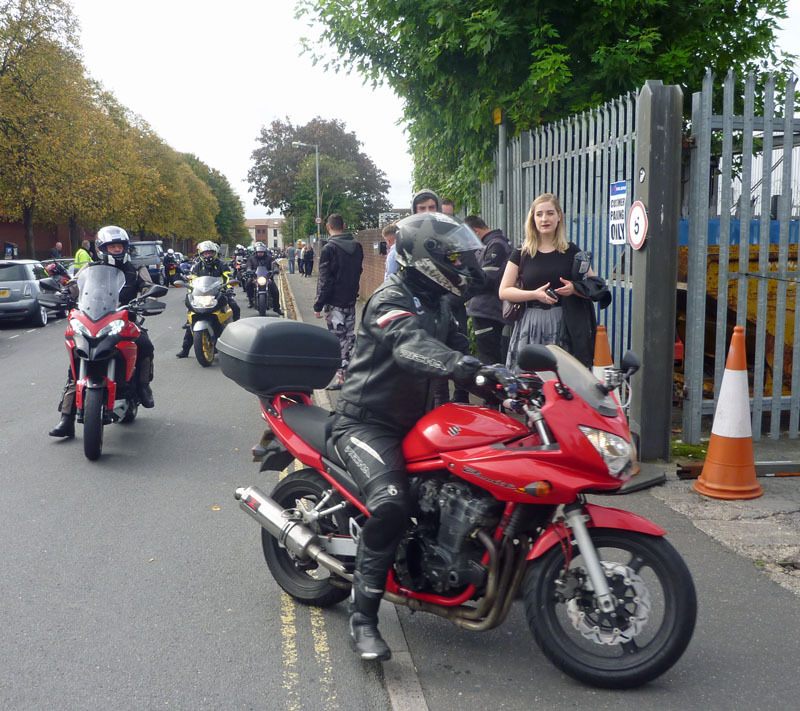 To demonstrate support for Avon and Somerset Police and their tireless work in tackling motorcycle thefts and related crime. 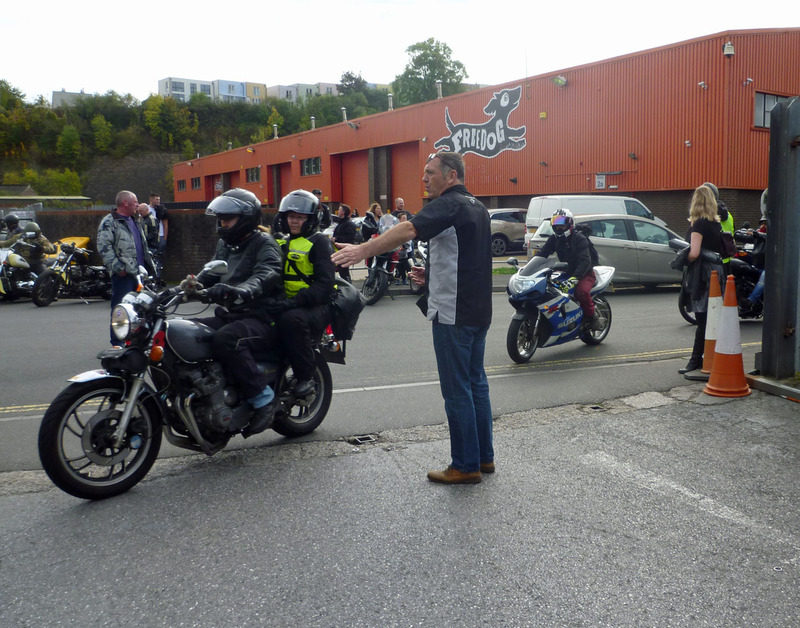 Fowlers Motorcycles, which has been serving Bristol’s bikers since 1926, was happy to host the cavalcade as the final destination for the first ever Bike Theft Awareness Ride, and has pledged its support for future events. 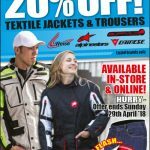 This entry was posted in Events on 03/10/2017 by Dan Sager. After our last Ride Culture event in May, we’re back. 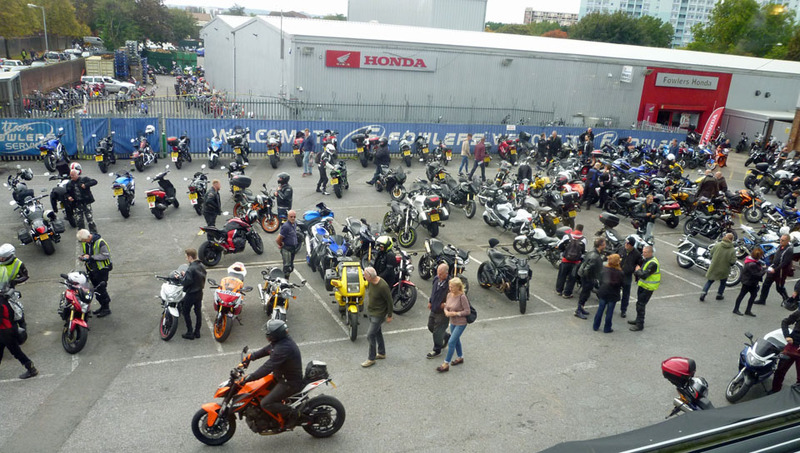 Fowlers are teaming up with Spoke & Stringer, other Local Motorcycle Suppliers, Workshops and well known brands to bring Bristol the second Ride Culture event this year, bigger and better than before! 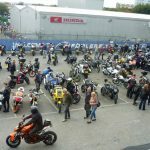 Whats new – Roll In morning Bike Meet, More Bikes, More Bands, Food + Drink, Cheaper Tickets! 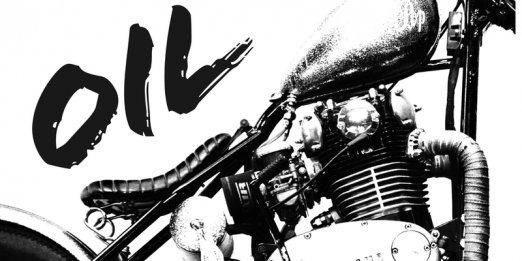 LIVE MUSIC – STREET FOOD – CRAFT BEER – Q&A Sessions – EXHIBITION – ART – FILM – ROLL IN! Limited Tickets available – once sold out – there’s no more space. More info to come follow @RideCulture_Oil on Instagram. 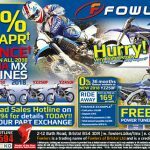 This entry was posted in Events, Fun on 28/09/2017 by Fowlers News.